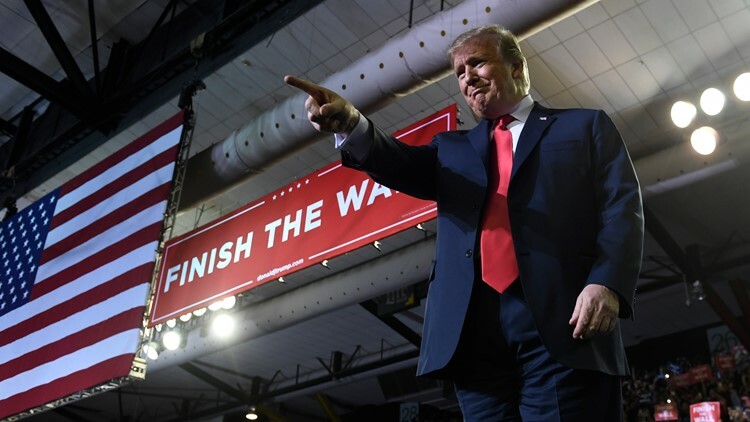 What’s more, the poll found, 78 percent of Republicans say they want Trump to be the party’s presidential nominee in 2020, while only 17 percent say they would prefer another candidate. President Donald Trump remains wildly popular among Colorado Republican voters, and they overwhelmingly believe immigration is the most important issue facing them, a new survey conducted by a GOP polling firm finds. And by a wide margin, Republicans in Colorado prefer uncompromising conservative candidates to moderates who are willing to work with Democrats to get thing done, according to the survey made available in advance to Colorado Politics. And yet, 60 percent of Republicans surveyed said they support “red flag” legislation to enable law enforcement to take guns away from people deemed a threat to themselves or others -- a proposal that was blocked by GOP lawmakers in the Colorado legislature's 2018 session. A new Magellan Strategies poll shows Trump has a 90 percent job approval rating among registered Republicans in Colorado, with 72 percent saying they strongly approve. Just 9 percent of Republican voters surveyed said they disapprove of the job Trump is doing.